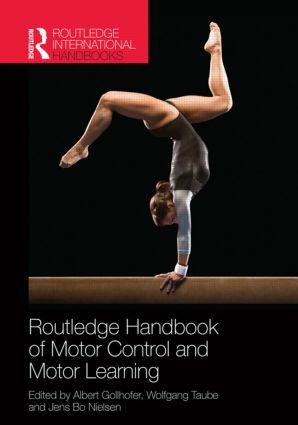 The Routledge Handbook of Motor Control and Motor Learning is the first book to offer a comprehensive survey of neurophysiological, behavioural and biomechanical aspects of motor function. Adopting an integrative approach, it examines the full range of key topics in contemporary human movement studies, explaining motor behaviour in depth from the molecular level to behavioural consequences. Mastering and improving motor control may be important in sports, but it becomes even more relevant in rehabilitation and clinical settings, where the prime aim is to regain motor function. Therefore the book addresses not only basic and theoretical aspects of motor control and learning but also applied areas like robotics, modelling and complex human movements. This book is both a definitive subject guide and an important contribution to the contemporary research agenda. It is therefore important reading for students, scholars and researchers working in sports and exercise science, kinesiology, physical therapy, medicine and neuroscience. Albert Gollhofer is Professor and Head of the Department of Sport Sciences at the University of Freiburg, Germany. He is former President of the European College of Sport Science and of the German Society of Biomechanics. Wolfgang Taube is Professor and Head of the Movement and Sport Science Department at the University of Fribourg in Switzerland. He is member of the national research council Switzerland and executive member of the Swiss Society of Sport. Jens Bo Nielsen is Professor of Human Motor Control at the Institute of Exercise and Sport Sciences & Institute of Neuroscience and Pharmacology, University of Copenhagen, Denmark. He is head of the research group Copenhagen Neural Control of Movement.